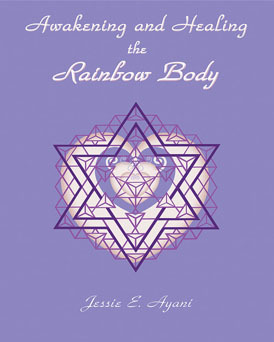 An artful weaving of timeless truth and wisdom, this non-fiction book presents an autonomous path to higher consciousness through knowledge, healing and self-management of your multi-dimensional rainbow body. This work is within the grasp of anyone willing to objectively self-observe and self-correct. We are invited to enter the path of liberation — the liberation of consciousness that culminates in enlightenment or self-realization. Though a useful adjunct to any spiritual teaching, this path to enlightenment does not require gurus, priests, or teachers to lead us to God. It asks us to look within, rather than without, to find the master that knows herself/himself as a reflection of God. It asks us to live our divinity on earth. Without mastery of our astral or soul body, the fifth dimension's dynamic activation and opening of the heart (Christ Consciousness) will remain a mythic heaven. This book contains the theory upon which the Companion Guide and Shamanic Journey work is based —an introduction to your miraculous Rainbow Body. ISBN# 978-0-9648763-5-4, Trade paperback, 6.5" x 8.5", 240 pages. Cost $16.00 [print edition also available at Amazon.com] all digital versions available at Smashwords [or ibookstore, Nook, Kindle etc. ].